Google+ is now open to anyone who wants to get in. In a Tuesday post on the Official Google Blog, Google announced that it is launching nine new features, including open signups. "For the past 12 weeks we've been in field trial, and during that time we've listened and learned a great deal. We're nowhere near done, but with the improvements we've made so far we're ready to move from field trial to beta, and introduce our 100th feature: open signups. This way anyone can visit google.com/+, join the project and connect with the people they care about," Senior Vice President of Engineering Vic Gundotra wrote for the blog post. Google also launched Search for Google+, as well as an expansion of its Hangouts video chat feature and more. Searching within Google+ will let users seek out other users, posts, and "popular content from around the web," the way they would using Google's search engine. 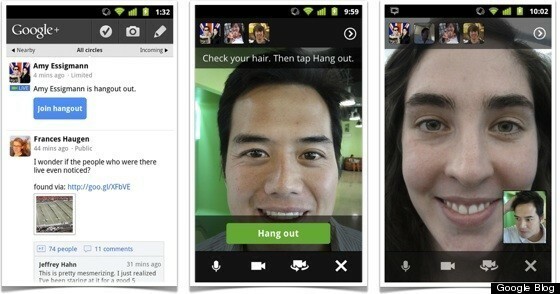 Google+ users will now be able to initiate Hangouts via Android 2.3 devices and higher. "iOS support is coming soon," Gundotra promised on the Google Blog. "On Air" broadcasts will let some users record live chat sessions that others can tune in to. For the past three months, the social network has been in invite-only mode while Google continuously rolled out new features. Tuesday's features launched as the service moves from "field trial" into "beta." In less than two months, Google+ exploded to 25 million members, making it the fastest-growing social network ever, according to comScore. Visit the Google Blog for more about what's new from Google+. Visit the Google Mobile Blog to check out the handful of upgrades that also debuted today for the G+ mobile app.